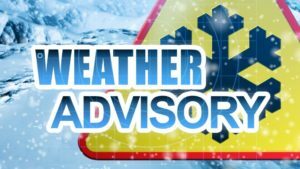 Update: School closures, delays today; weather advisory extended to 10 a.m.
GALION –School delays and closures have been reported in the area this morning because of slippery driving conditions. As of 7 a.m., Crestline, Wynford, Colonel Crawford and Northmor are closed. Galion, Buckeye Central and Bucyrus are on two-hour delays. Fairway is on a one-hour delay. Galion had a staff development day already scheduled, which meant a two-hour delay. A winter weather advisory is in effect until 10 a.m. for this area. Areas of freezing drizzle with ice accumulations of a light glaze are possible. If you are about and about, plan on slippery road conditions and slick sidewalks and parking lots. A Winter Weather Advisory means that periods of snow, sleet or freezing rain will cause travel difficulties. Expect slippery roads and limited visibilities, and use caution while driving. The latest road conditions can be obtained from the Department of Transportation web site.